Are you a test manager, QA lead or recruiter assigned to building and growing your testing team? Or are you asked to find and recruit your company’s best next tester? I think I will able to help you then. Why is hiring testers such a challenge? Where are all the awesome testers hiding? How do you know whether a tester is awesome or not? Hiring good and experienced testers becomes more and more difficult. So the important question is how to evaluate and hire a dedicated tester? 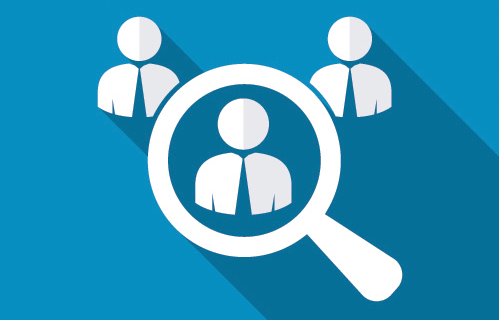 Interview Mocha, an online skill test platform, has come up with this article along with the interview questions, we will tackle the various stages of tester recruitment, namely: Assessing them. Interviewing them. Hiring them. Have a clear understanding of what attributes are important for the role you’re trying to fill. If you want to hire the best testers for your team, it would be wise to spend some time figuring out what skills and attributes are most important to your organization. Take this as guidance, bookmark this and later on use it for your next hire. Domain Knowledge – A tester should be the domain expert to understand the concept and basics of a software or application. He must have good knowledge of the domain of the application, to test it thoroughly. 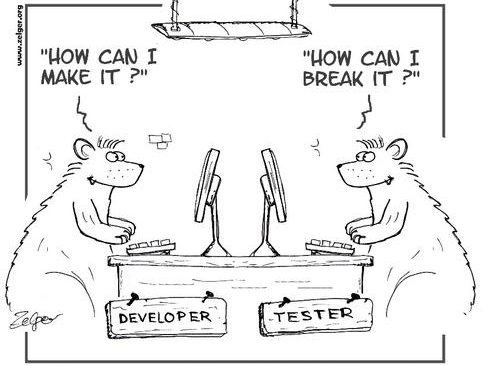 Obviously, a good tester should be well versed in writing test cases and test plan. He should be strong in requirement analysis, regression testing and bug isolations. 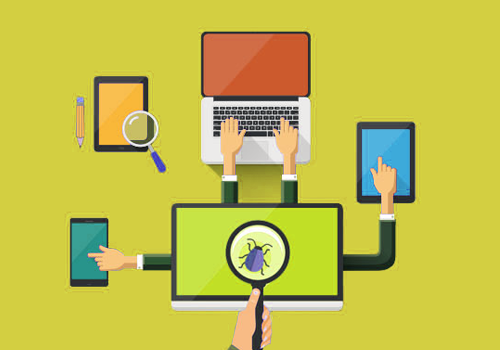 Test Automation and Technical Knowledge - They must have sound technical knowledge to determine which tests must be automated at which layer, execute tests on a constant basis, utilize the availability of various testing tools, provide worthwhile metrics to the organization and choose the appropriate and latest set of tools in order to help the testing effort. Understanding of Multiple Testing Methodologies - In testing, there are many methodologies and techniques including manual testing, automated testing, security testing, and performance testing. Every company and project might use a different methodology, so it’s critical that a great tester understands how to apply these techniques. Analytical and Logical Thinking – A great software developer must be able to analyze the given business situation and judge all the possible scenarios. He should be consistent in analyzing and solving complex, multi-step problems. 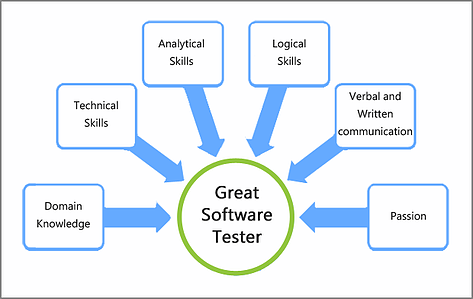 Good Communication Skills - A good software tester must have a good verbal and written communication skill. Testing artifacts (like test cases/plans, test strategies, bug reports, etc) created by the software tester should be easy to read and comprehend. Now you need to figure out whether or not they’re right for your team, and whether they have the skills you’re looking for. In the traditional interview scenario, once you interview a candidate then you will make a decision based on gut feeling. Then, you’ll spend the rest of the time looking for reasons to justify the decision you have already made. If you want a more scientific outcome, you need to move away from this model. I have a suggestion for ways you might proceed instead. As an employer, you can easily evaluate candidate’s knowledge on various concepts and technologies with software testing assessment. 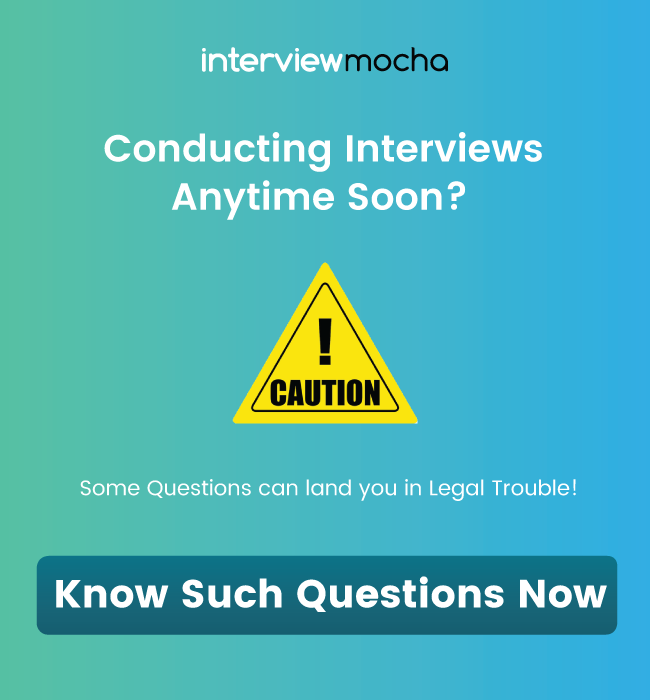 Interview Mocha’s online test for software testing consists of questions and tasks whose difficulty matches the responsibilities the candidates for the job role you are hiring. Assess software testing skills of candidates for Load Runner, QTP, Selenium, manual testing and more using Interview Mocha's validated online tests as well as candidate testing software. LoadRunner Test - Use Interview Mocha’s online LoadRunner skills test to assess & hire qualified testers. Selenium test – Assess the candidate’s knowledge with online selenium test which covers application-oriented questions to hire best software testers. QTP Test - Quantify the skills of software tester with Online QTP skills Test and identify potential software testers. Mobile Testing Test - Evaluate candidates with Mobile Testing Test (Manual) and Online App test (Automation) to measure the app testing skills of candidates at all levels. QA Assessment Test - Evaluate candidates with QA assessment test (Manual) and QA Online Test (Automation) to measure the advanced manual as well as automation testing skills of candidates to hire for a positin of software testing QA. Selenium Webdriver Test- Assess candidates Selenium WebDriver automation scripts writing skills with our Selenium WebDriver online test. Selenium Subjective Test- Selenium online subjective test helps to assess skills like Selenium Window alert, Saving a file, Selenium with Database connection, Websites response time, SQL injection in websites and more. Appium Tool Test: Assess candidate’s competence on handling Appium tool for mobile app testing with our Appium Android online test and Appium iOS online test. Cucumber Test: Use our Cucumber testing online test to assess skills like Cucumber development, reports, command line, debugging and more. 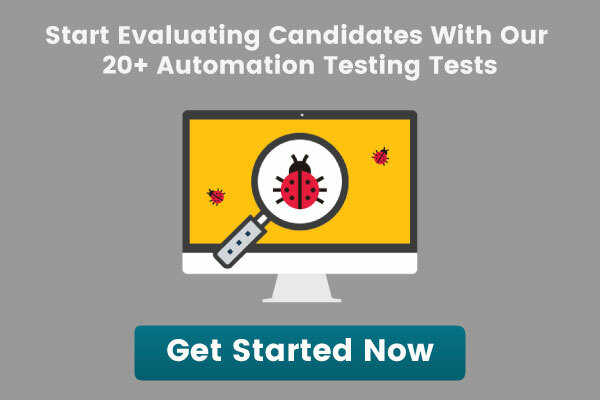 Jmeter Test: Assess candidates skills like Jmeter -controllers, Scripting, Bean Shell Component, Thread Ground, Test Scheduler, HTTP Samplers, Result Analysis with our Jmeter online test. QA Aptitude Test - As QA should possess strong analytical, logical, verbal and problem - solving skills in order to develop the bug free solution, you must check his skills using our QA aptitude test and identify potential prospects. You can always ask us to create a custom test for you. Our friendly support team will help you with a customized test as per your job description. Moreover, these tests are highly secure and can be taken from any part of the world as long as there is an internet connection. So, what are you waiting for? 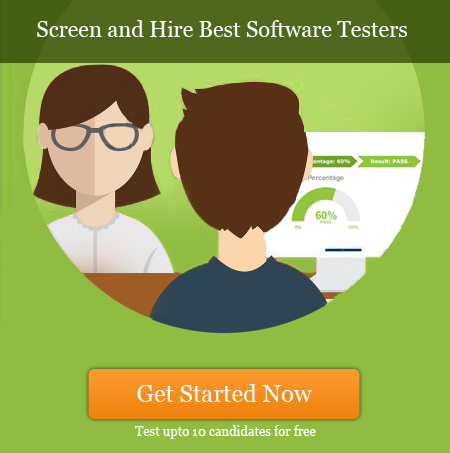 Choose our online testing software and start testing candidates now ! 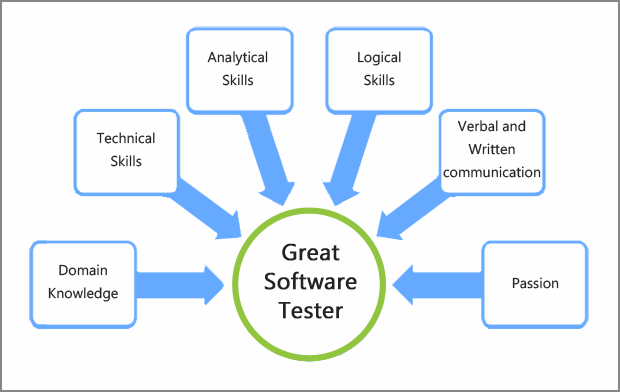 In order to hire a passionate software tester, don’t just focus on the experience, but more importantly, gauge their logical and critical thinking skills. I have compiled some good questions to ask a potential prospect that can help you to assess the candidate’s testing & automation skills and behavioral & character traits. 7. How to launch the test cases in Quality Centre and where it is saved? Software not only involves manual testing, but its scope widens to performance analysis, security analysis, writing test automation, security frameworks etc. This makes a tester’s role crucial. So consider them at par with the developers. I could go on and on about this. It’s not meant to be a fully comprehensive guide. I hope this will give you some food for thought and perhaps you can look at your current hiring process and choose a few small things that could potentially be changed? Or maybe you have some of your own approaches to recruiting software testers that have worked for you instead. If so, we’d love to hear about them in the comments below.